This year I turned my little front porch into a Christmas Candy Land. 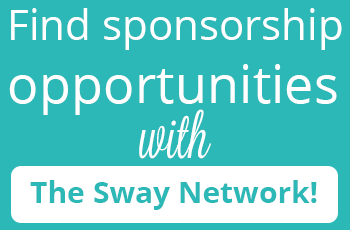 I was on a mission to create something fun and whimsical that would have my kids SUPER excited for Christmas. Every time we walk through the door it is like we enter our own little gingerbread house. 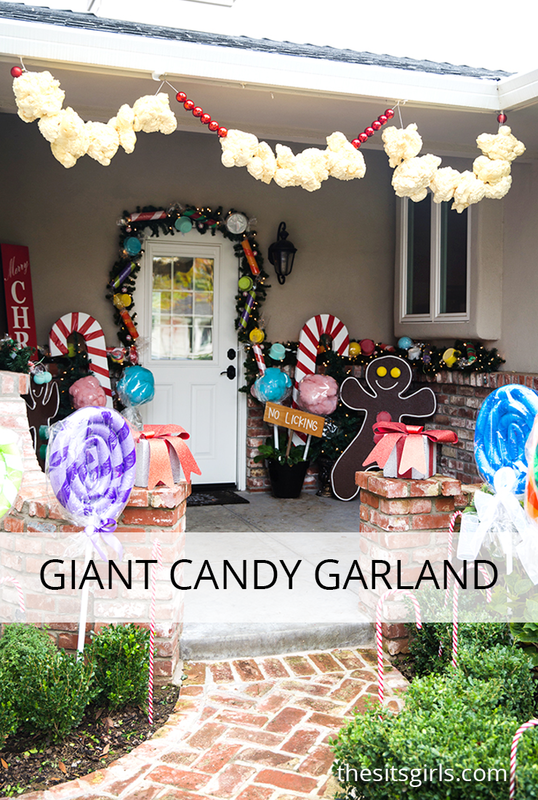 You only need a few miscellaneous household items to create your very own giant candy and giant candy garland. 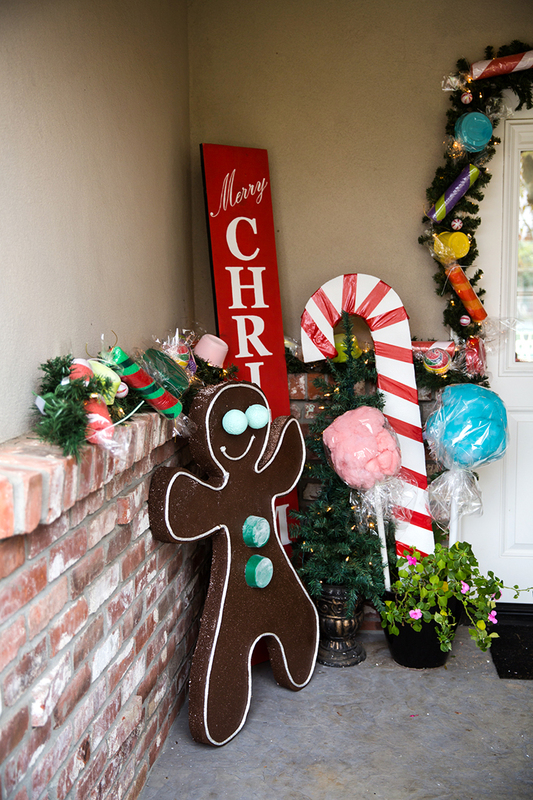 To make the Giant Candy Canes and the Gingerbread Men, I used Insulation Foam Boards from the hardware store. My husband drew the gingerbread man shape, and I used an exacto knife to cut it out. I painted my gingerbread men with brown paint and let them dry for a couple hours. The buttons were made by using a couple of extra gumdrops from the candy garland I’m going to teach you how to make below, and the eyes are styrofoam balls I spray painted — both were attached with hot glue. The “icing” was made out of thick, white rope. I also used my hot glue gun to attach the rope around the edge of the gingerbread man and create his smile. The candy canes were also made with insulation foam boards. I didn’t even need to paint them. I just cut the foam board and wrapped red duct tape around it to create the stripes. The cotton candy sticks are one of my favorite things. Not only were they the easiest to make, but personally I think they are the cutest. To make the giant cotton candy sticks, I spray painted leftover quilt batting. Then I stuck PVC pipe through the middle and wrapped the “cotton candy” in cellophane. It looks so perfect, people have asked me if it’s real cotton candy! A dear friend painted the “No Licking” sign. 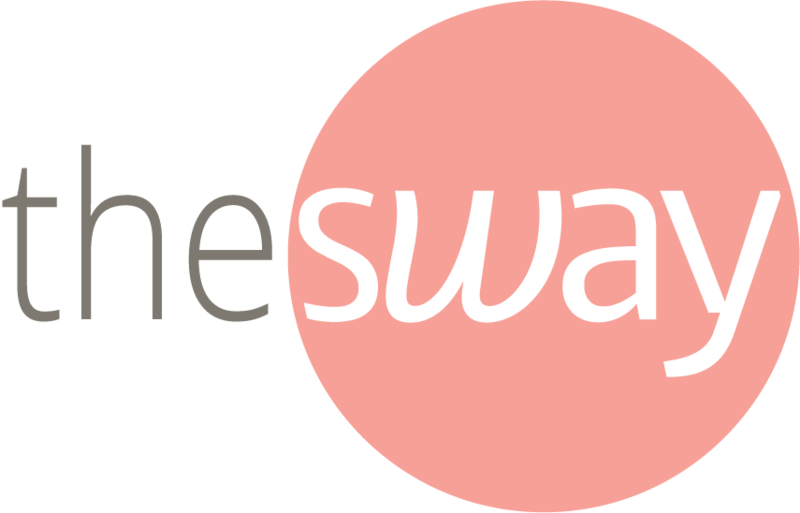 It really adds a fun element to the entire project, and it would be easy for you to recreate. 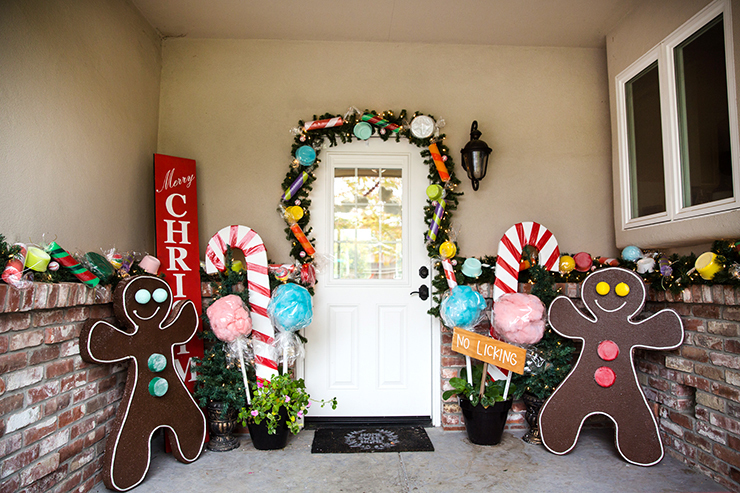 To really give your house the gingerbread house look, you need a giant candy garland! 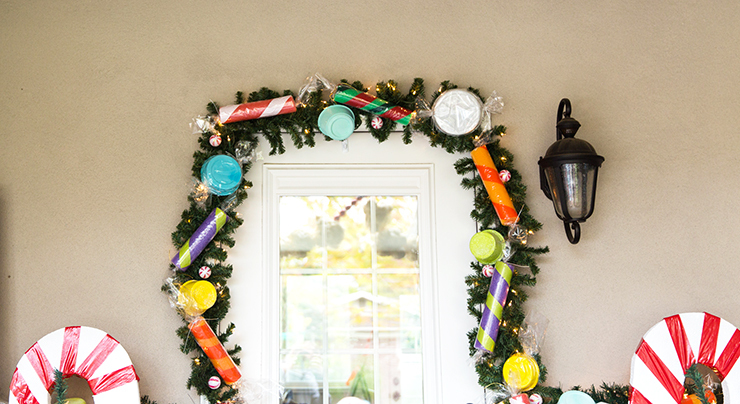 Use leftover food containers and pool noodles to create this whimsical decor! The best part about this project is that it cost under $30 to create this entire look. For my giant candy garland I made three different types of candies. 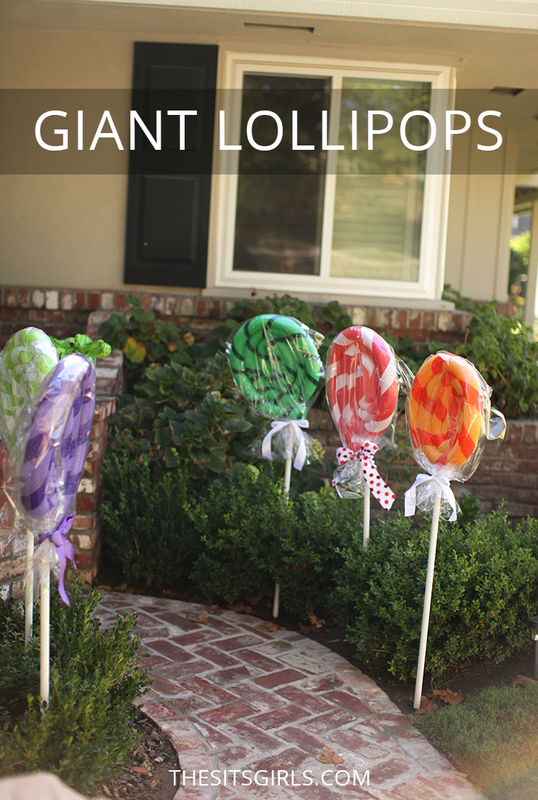 The giant peppermint sticks were made using pool noodles and duct tape. You simply twist the duct tape around the pool noodle, and then cut it to the size candies you want. 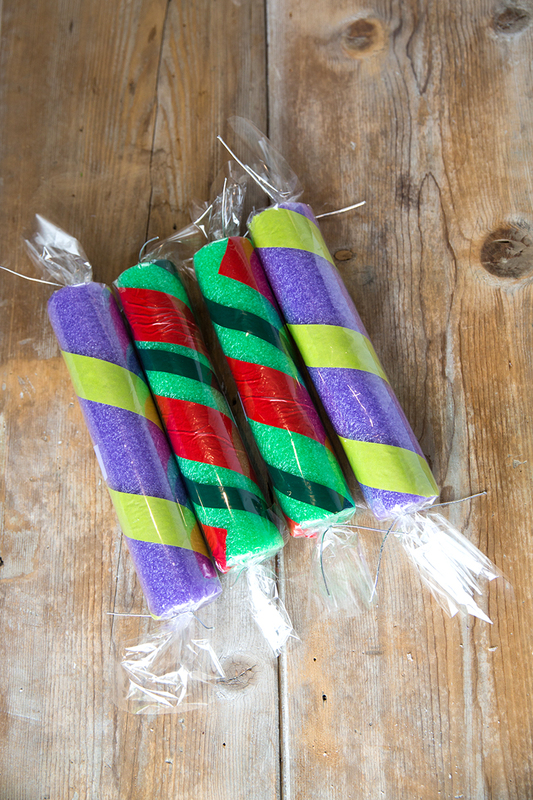 Wrap your peppermint stick with cellophane and tie it off with a couple of pieces of string, and you are good to go! The next type of candy I made was gumdrops. I saved up about 15 old sour cream, yogurt, and pudding containers. I sprayed them with spray paint, and then with spray adhesive. Wait a few minutes after you spray the adhesive, and then sprinkle white glitter over the container. It’s a little hard to see in the pictures, but once the container is dry, the glitter looks like sugar on the candy! It is so fun to make them in a variety of colors. Varying the colors makes them look like they really did come out of a candy box. Gingerbread Decorating Tip: I also used my “gumdrops” as buttons for my giant gingerbread men! For the hard candies, I used shorter containers— about an inch to two inches high. These were hummus containers, crumbled cheese containers, and salsa containers. I simply sprayed them with brightly colored spray paint, wrapped them in cellophane, and tied the ends with the same stretchy, silver elastic used for the peppermint sticks. 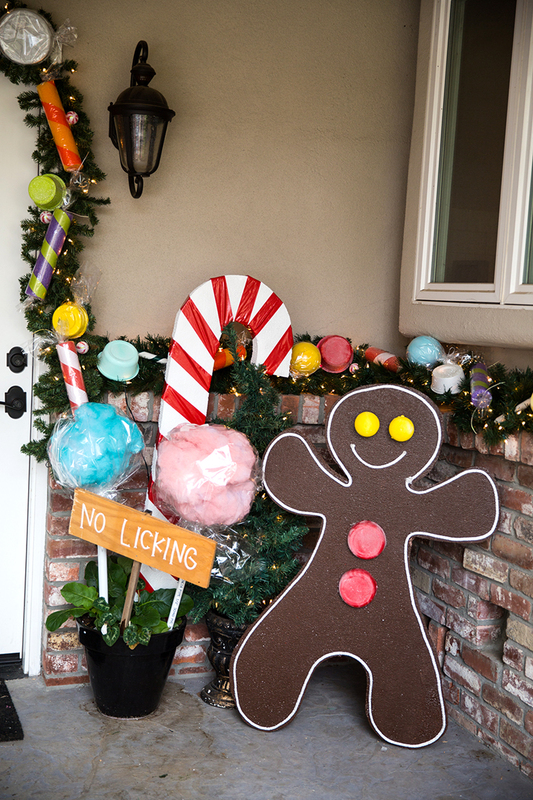 I picked up a couple of faux garlands at the dollar store, wrapped them with twinkle lights, and attached the giant candy pieces with a hot glue gun! There was no real order when attaching the candy, I went for a fun eclectic look. 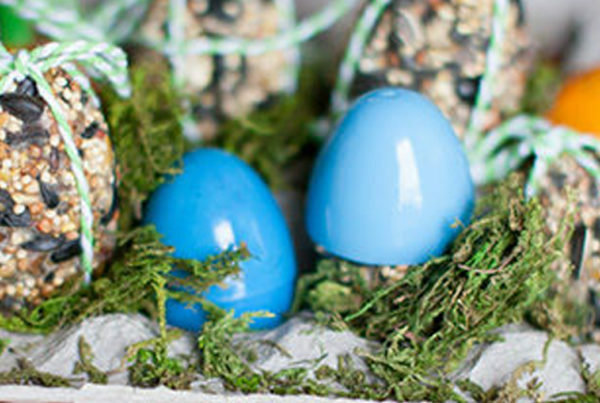 The best decorations do not have to cost a ton of money. This little Willy Wonka Christmas Candy Land has brought us SO much joy! It makes me smile every time I see my front porch. 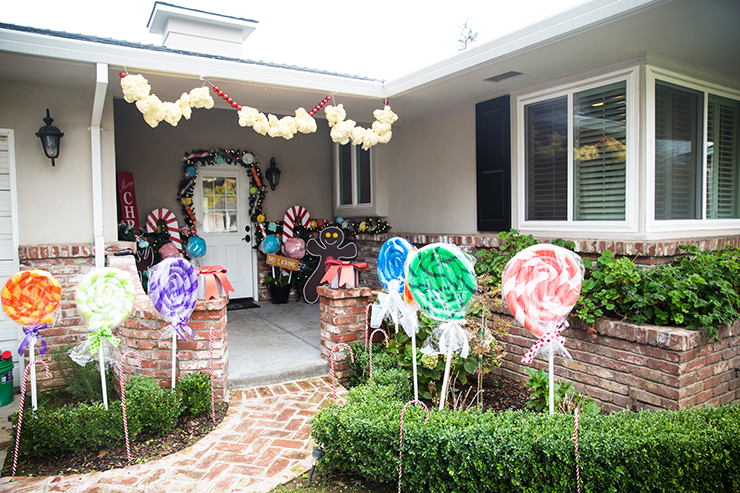 A few giant lollipops to line the walkway and a giant popcorn garland finished off my gingerbread house transformation. 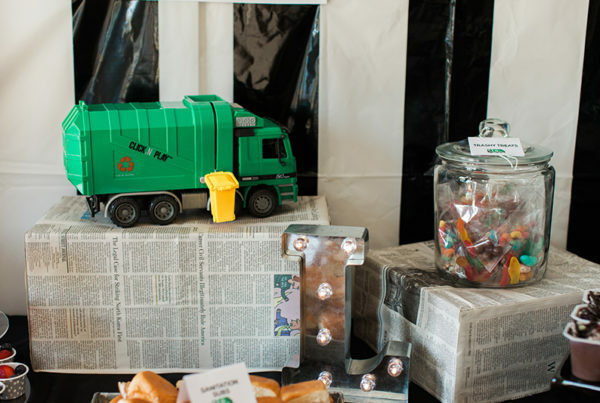 You can find both of those tutorials with the rest of our Christmas DIY Projects. Thanks for sharing your valuable views with us. 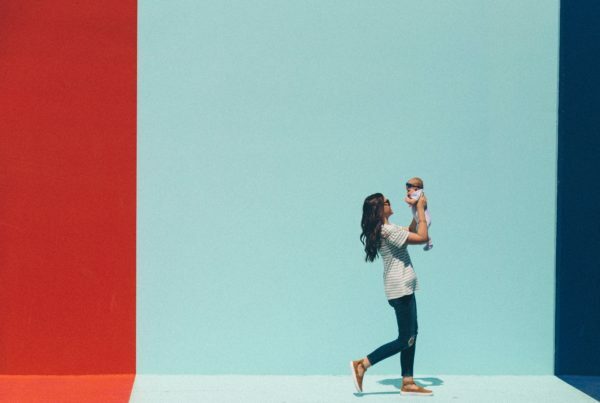 Your post helps to me a lot.